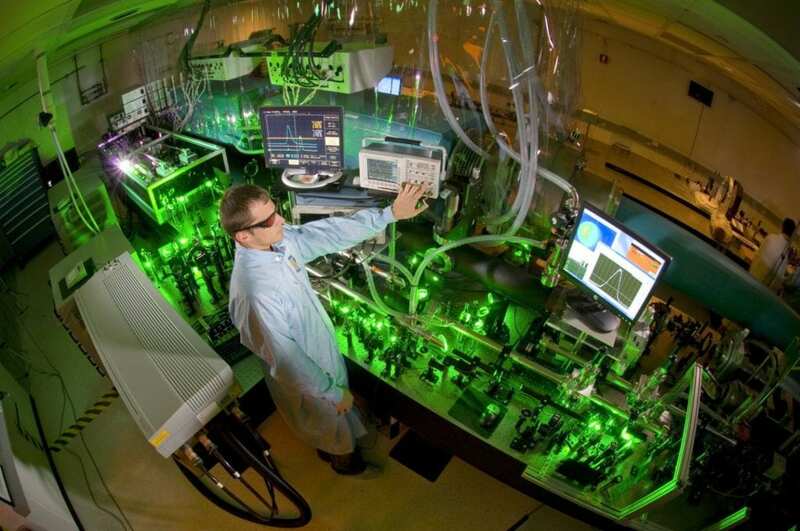 The University of Texas at Austin will be a key player in LaserNetUS, a new national network of institutions operating high-intensity, ultrafast lasers. The overall project, funded over two years with $6.8 million from the U.S. Department of Energy's Office of Fusion Energy Sciences, aims to help boost the country's global competitiveness in high-intensity laser research. "UT Austin has become one of the international leaders in research with ultra-intense lasers, having operated one of the highest-power lasers in the world for the past 10 years," said Todd Ditmire, director of UT Austin's Center for High Energy Density Science, which houses the Texas Petawatt Laser. "We can play a major role in the new LaserNetUS network with our established record of leadership in this exciting field of science." "I am particularly excited to lead the Texas Petawatt science effort into the next phase of research under this new, LaserNetUS funding," said Ditmire. "This funding will enable us to collaborate with some of the leading optical and plasma physics scientists from around the U.S."
The Office of Fusion Energy Sciences is a part of the Department of Energy's Office of Science. LaserNetUS will hold a nationwide call for proposals for access to the network's facilities. The proposals will be peer reviewed by an independent panel. This call will allow any researcher in the U.S. to get time on one of the high-intensity lasers at the LaserNetUS host institutions.